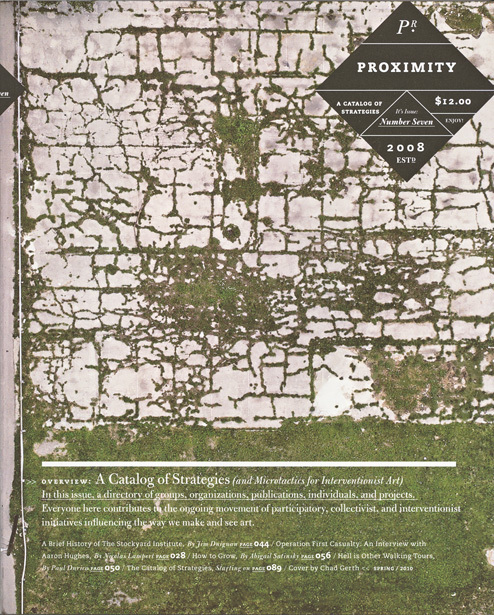 Managing and Contributing Editor – Proximity: March 2008 – June 2009. 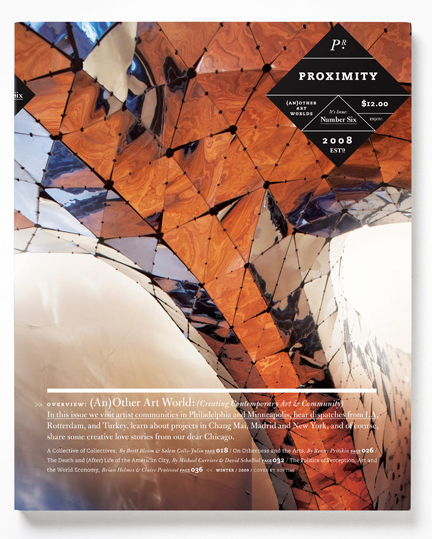 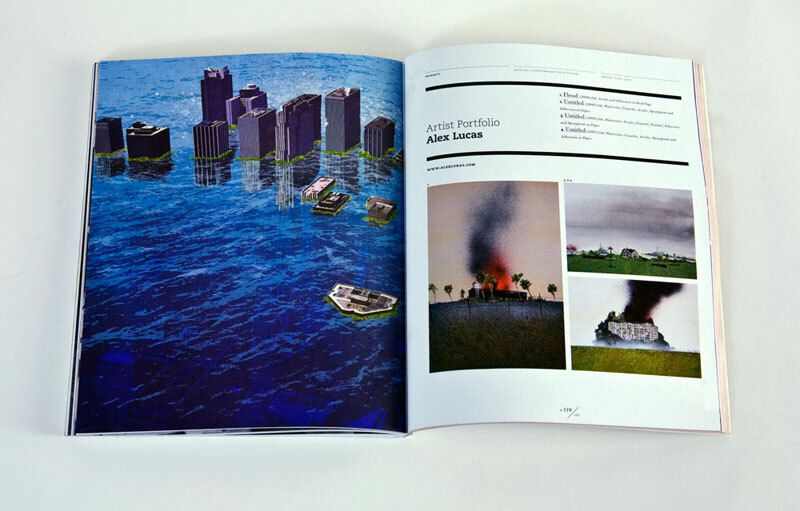 Proximity is an award-winning magazine dedicated to contemporary art and culture. 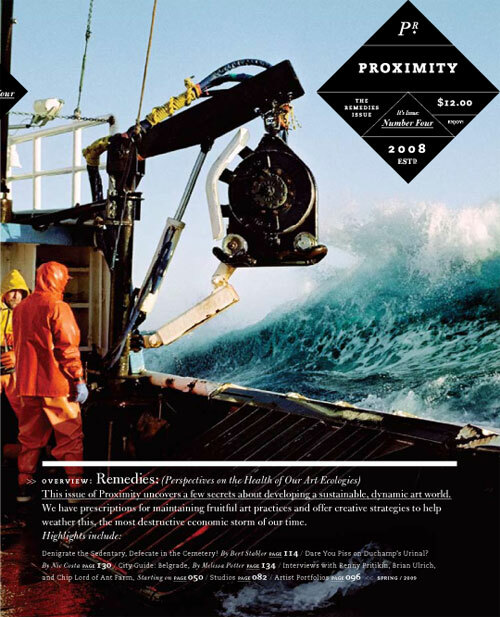 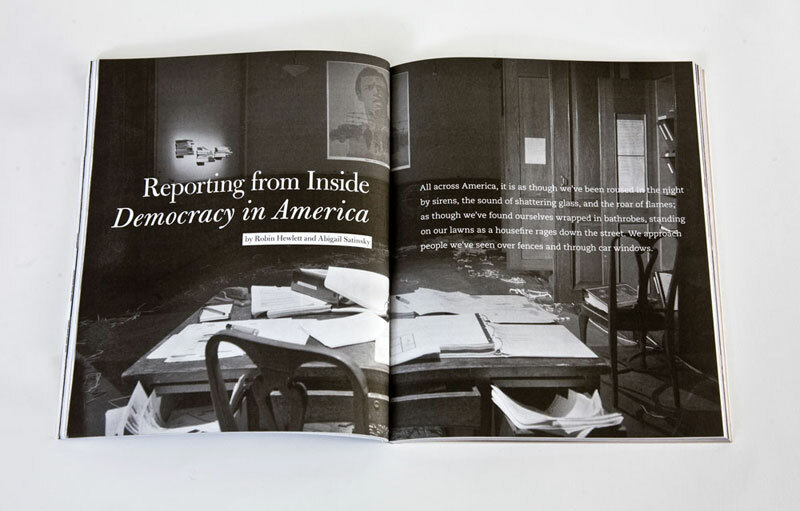 Published by the Chicago-based nonprofit Public Media Institute, Proximity is nationally distributed and available in nearly a dozen countries. 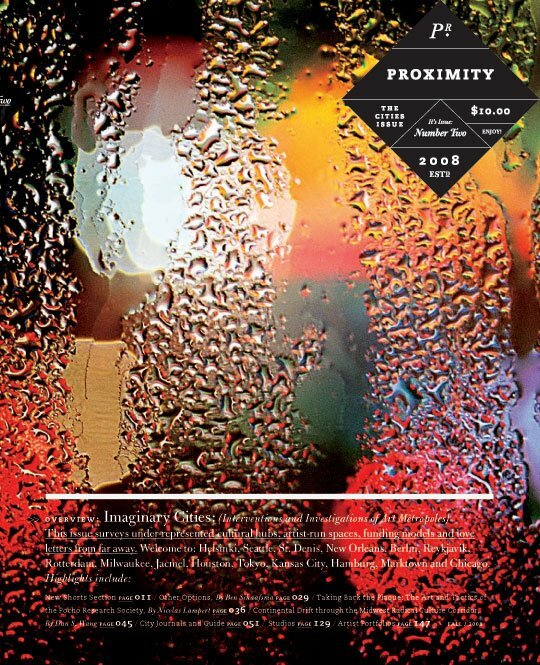 My involvement with Proximity began in early 2008 as a contributing writer. 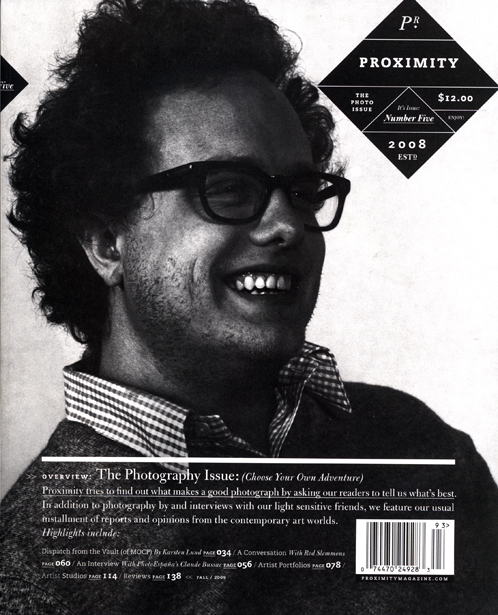 After the first two issues were published I began working in support roles with the art director, Chad Kouri, and managing editor, Mairead Case. 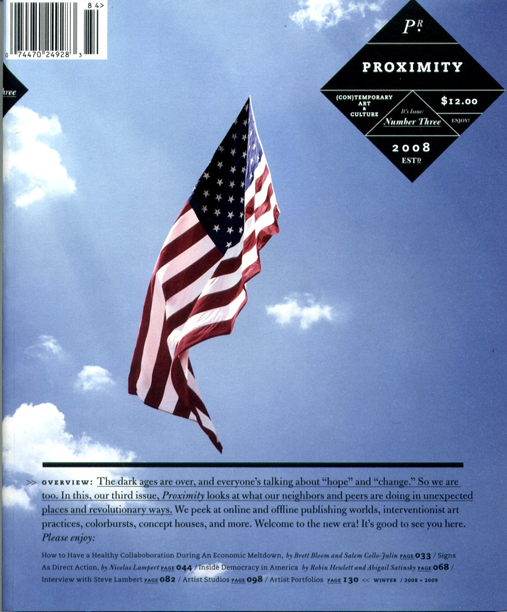 In mid-2008 I served as managing editor; contributing to and editing Proximity #6. 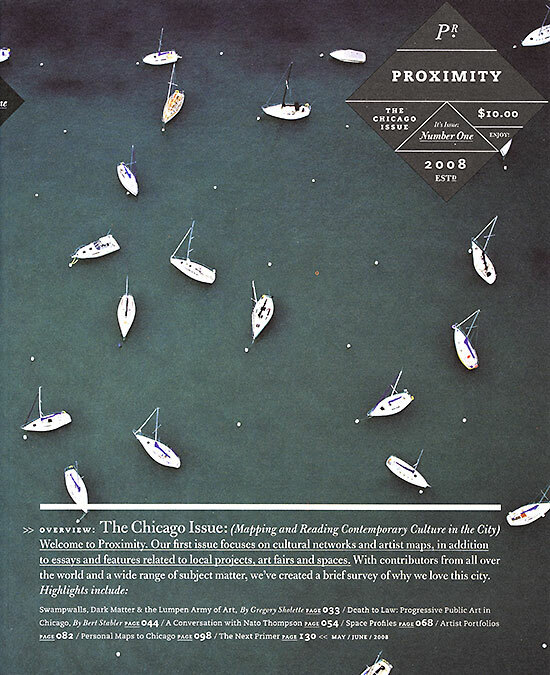 As managing editor, I worked alongside publisher, Ed Marszewski, and Kouri to concept, assign, compile, market, advertise and print the Chicago-based 200-page arts and culture publication.